We are back this month with a testimonial from our patient John. He had to overcome some hurdles before beginning VRT but at the end it was all worth it. We are happy to hear that our therapies have had a significant improvement in his activities of daily life. “In May 2016, I suffered a stroke while driving. I lost vision in my right eye. My doctor told me it was not safe for me to drive. He wrote a prescription for NovaVision and said the program may help to restore my vision. I had to overcome a few problems before I could start. First, I had a Mac Book Pro and the program only ran on a PC. I got a program (parallel desktop) and partitioned my hard drive. It worked, so could start. Second, we were in the middle of moving house making it hard to do the therapy. With the help from their tech people and Cristina Racasan things came together. My vision improved as I used the program. After several months (6) my ophthalmologist told me he thought my vision had improved enough to drive. I had to pass a Virginia Test which included, vision, reaction time, multi-tasking, and an on the road driving test. I am now driving. 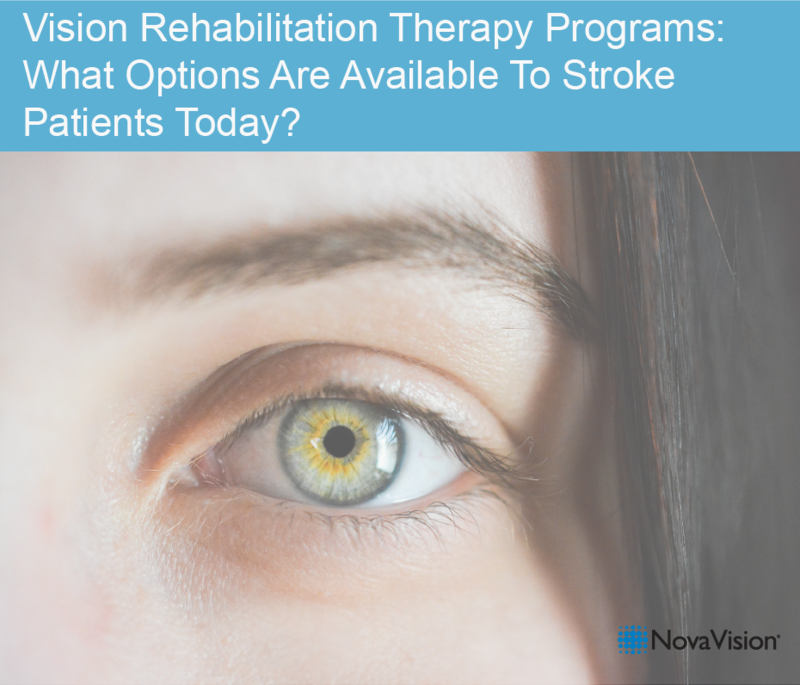 The charts shown above display the results of NovaVision’s visual field tests, which were performed before starting VRT and at the end of six months therapy. During a test, light stimuli are presented in each of the grid boxes and the patient responds when they see these stimuli by pressing a button. Three tests are carried out and the results are overlaid. A white box indicates that the light stimulus was seen in that box in every test. A black box indicates that no light stimuli were seen in that box. A gray box indicates that patient has seen stimuli in one or two out of the three tests. Damage to the visual field is different in each case. The patient presented here has achieved a particularly pronounced improvement. Results vary and those for one patient should not be viewed as typical or taken as an indication of a likely result for a different patient. Outcome studies have shown an average visual field border shift of 5 degrees of visual angle. We hope that John’s story will encourage you to evaluate our therapy suite more closely; many patients have benefited and we believe it should be considered in your next steps towards your visual recovery.